This trip to Toronto hasn’t really turned out the way I had thought it was going to. Before I got here I thought I’d be eating out a few meals and having people over to my room and maybe even cooking a little something. But dealing with my elderly mother in Hamilton (an hour away) was a lot more time-consuming then I had imagined. When I travel I always look for hotels that have kitchens in them, suite hotels as they are called. 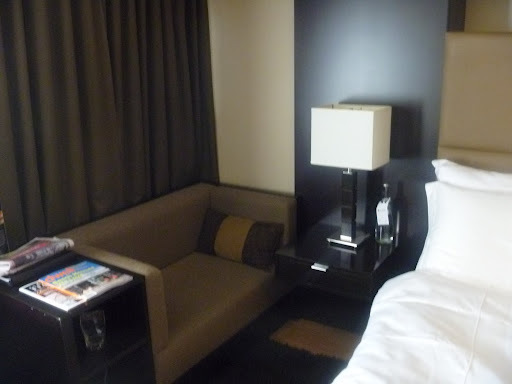 For me there is a: just like home feel that suites hotels have that you don’t get with your traditional hotel room. Obviously having a full outfitted kitchen makes the trip less expensive as you can cook at home and stock your fridge with goodies from your local market (and the St Lawrence Market is a short walk from The Pantages where I am staying) is ideal. 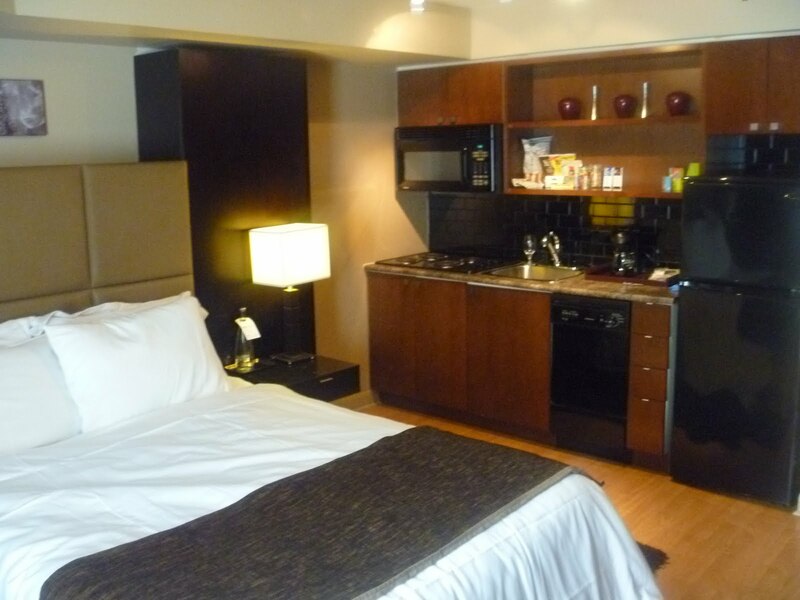 The Urban Suite I have is on the smaller side some of the more deluxe suites haveseparate living and kitchen areas. The company that owns The Pantages also owns The Cosmopolitan where I have staid many times and like very much. Both have similar modern aesthetic, but The Cosmopolitanhas a small exclusive hotel feel which I really like. Toronto has an abundance of hotels that come supplied with full kitchens, washer dryers en suites and all the comforts of home the other two I would suggest checking out are: One King West (which is a super high rise with a clubby Ralph Loren feel to the rooms) and The Cambridge Suites which I haven’t stayed at but I did pop into the lobby and chatted with the front desk people a bit who told me that not all the rooms have full kitchens, but all of them have some cooking facilities (so a microwave) and a fridge. 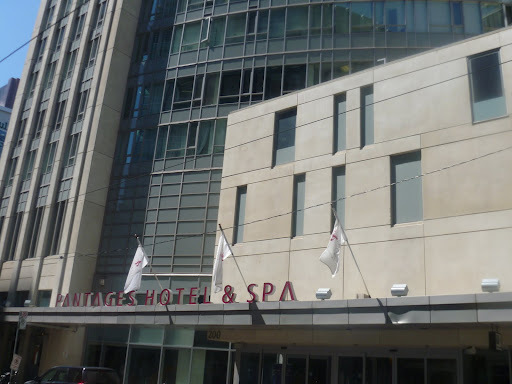 All of these hotels are within walking distance of the St Lawrence Market. 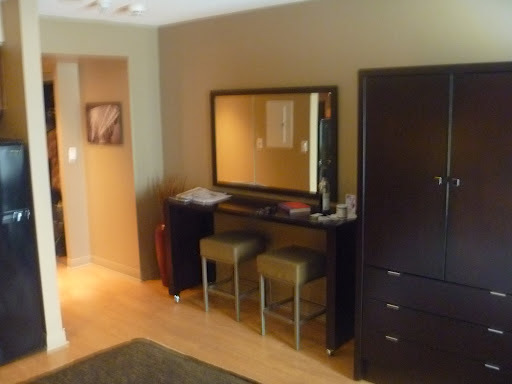 This entry was posted in Travel and tagged Cambridge Suites, One King West, Suite Hotels, The Cosmopolitan, The Pantages, Toronto. Bookmark the permalink.